I’m a FTC Gold member, and although we didn’t win, I enjoyed my experience at States. The robots there were amazing and I don’t think any of us are ashamed that we lost to such smooth and practiced teams. It even encouraged us to build a new robot; inspired by many of those we saw at States. 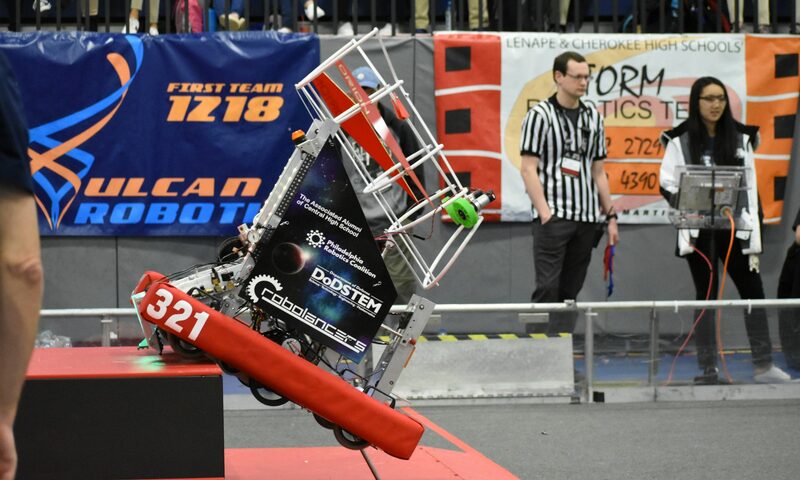 There was a sense of community, not just among the RoboLancers teams, but all Philadelphia teams, as Girls High, Palumbo, and Central all cheered each other on. This was the first time we saw the semifinals and finals from an outsider’s perspective, not as someone competing, and it made the experience a lot more fun. We are all so proud of the judges award we won, and I think everyone had a good time.